The Royal Australian Mint have announced that we will soon be seeing another coloured 2 dollar coin, this time a green one! 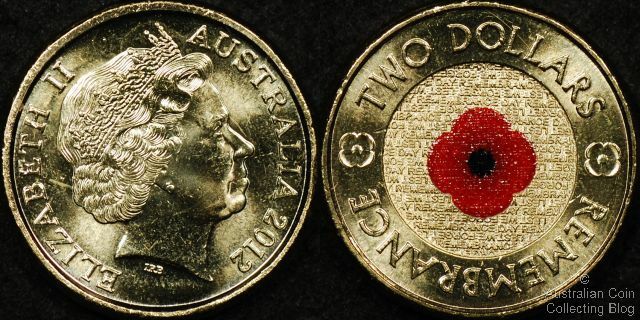 A Remembrance green $2 coin is being minted for circulaton to add to the ANZAC centenary coin program. The reverse design will include a dove with an olive branch in it’s beak inside a representation of the suns rays -a series of green coloured circular stripes. The obverse the standard Ian Rank-Broadley portrait of Queen Elizabeth II. To be the first to secure one of these green Remembrance $2 coins the Mint is giving visitors to the Sydney ANDA coin show the opportunity to swap their change for a set of circulating 2014 coins when they purchase a 2015 coin set at the show held on 24-25 October 2014. We will be seeing more of these coloured coins in circulation so if you can’t get to Sydney then you might find one in your change later this year. 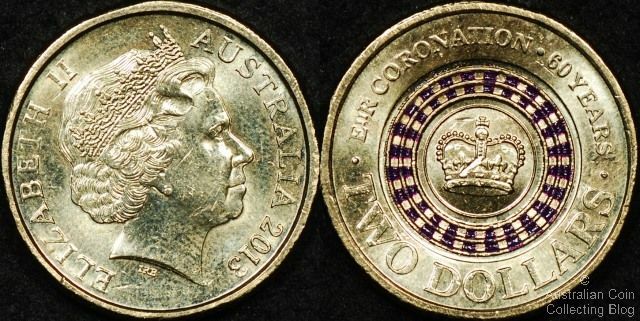 Last year we saw a purple coloured $2 coin celebrating the 60th Anniversary of the Queen’s Coronation and 2012 saw a special RSL issue of a red poppy $2 coin. 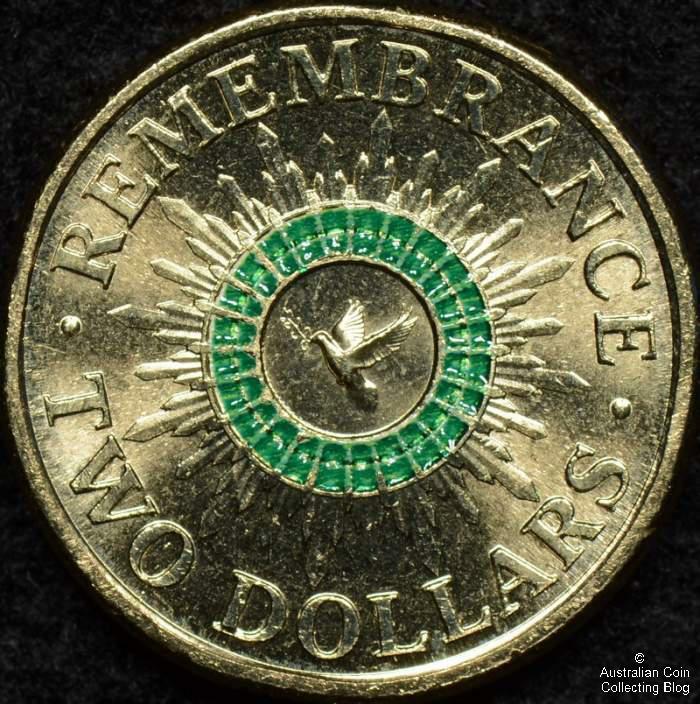 This new green coloured circulation Remembrance $2 will also be available with a C mintmark in collector packaging with a limited mintage of 40,000.